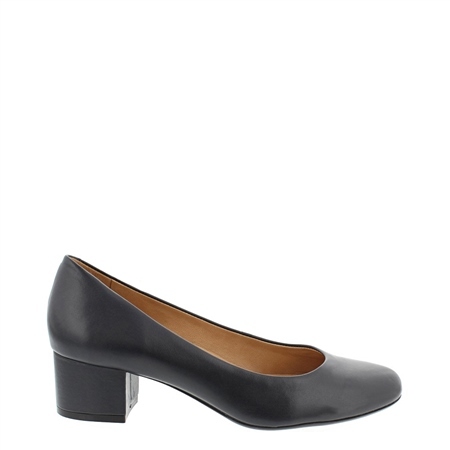 Our classic Yolanda court shoes are the workwear essential that should be the mainstay of any womans wardrobe. Classically elegant, these shoes feature a beautiful leather upper and a perfectly wearable low heel. All-day comfort is ensured by the addition of calf leather lining, arch support, underfoot cushioning and a flexible rubber sole. Also available in Beige & Black.